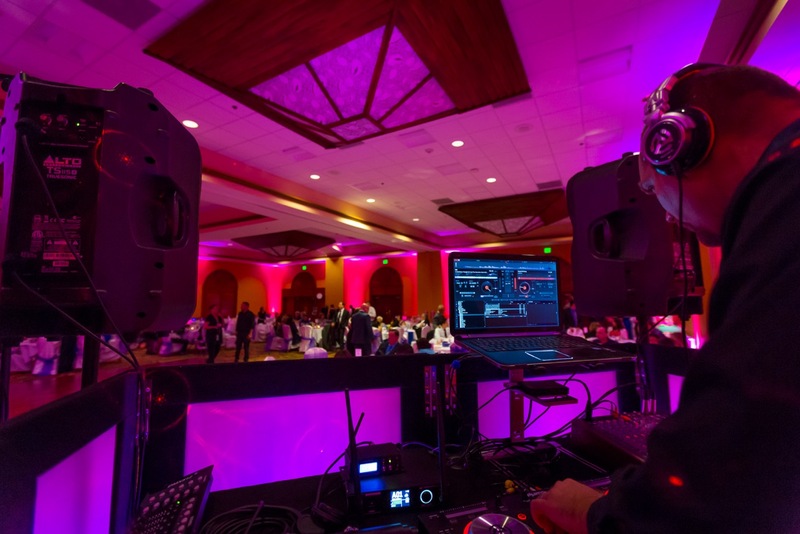 The DJ is the most important vendor that you will hire for your event or wedding. The DJ/MC is responsible for so much then just playing the “dance music". 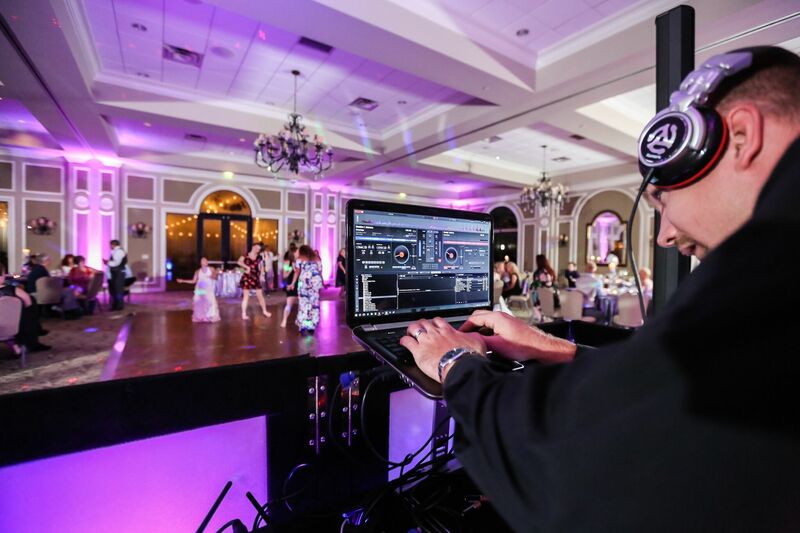 The DJ is responsible for the flow of the day, the timing of the day, the ambience, the announcements, the entertainment, the organization and is also in charge of making sure that you and your guests have a fun, relaxing and stress free day! If you have been to any weddings or parties in your lifetime, chances are that some of them were just plain bad! No excitement, no fun, bad music, dead air time, unorganized and chaos! All of this would have been because of the DJ! 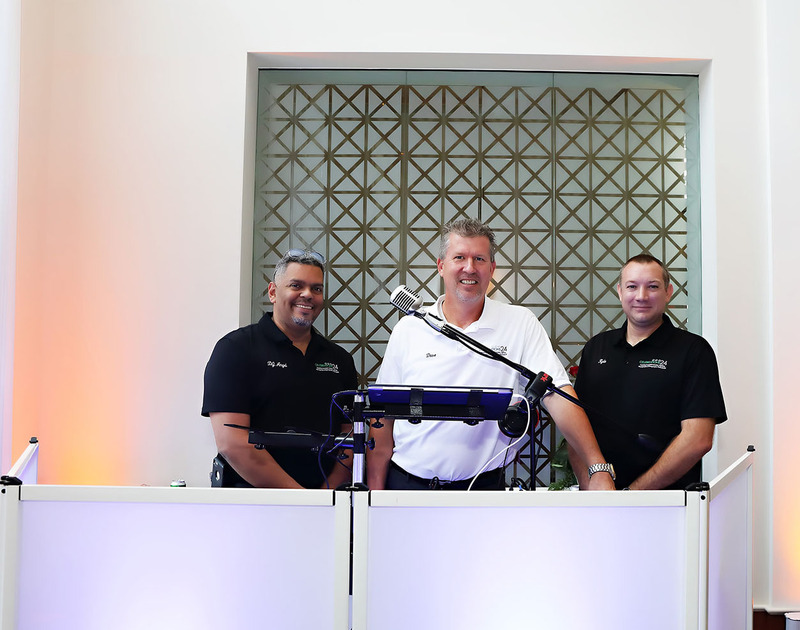 Our DJ/MC’s are professionally trained and experienced, combined with natural talent, engaging personality and top of the line equipment. 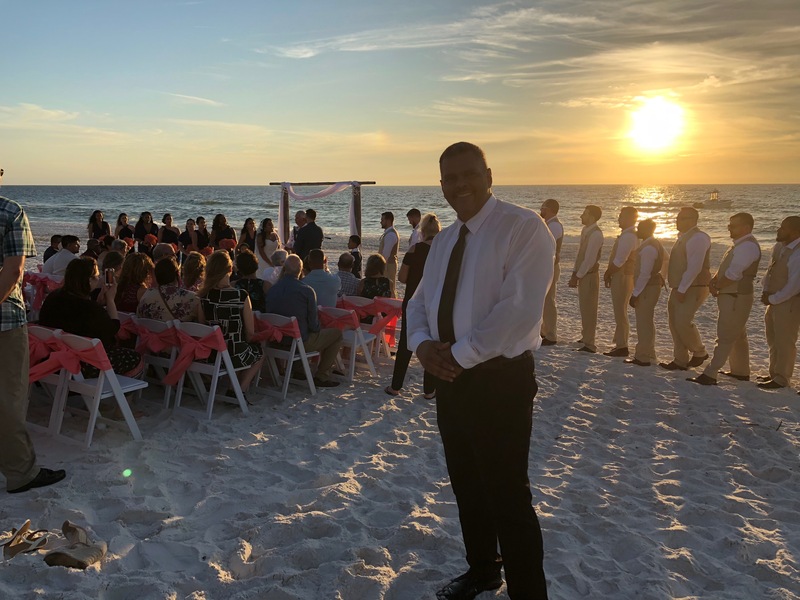 They are loaded with charisma and personality and know how to move seamlessly through your wedding day or special event and make it flow beautifully. They will make everyone have a great time…plain and simple. There are DJ’s that are $400 or $500 out there… and we warn you to stay clear of these! These guys show up on your big day (sometimes they don’t even do that!) with a pair of $300 speakers and ask you what to do! Nothing is planned, nothing organized, no music chosen, and a disaster is waiting to happen. Sometimes their equipment works, sometimes it doesn’t. You can almost always count on a microphone that is muffled with feedback and signal dropping. This DJ is inexperienced, untrained and uninsured! This is the worst thing you could do for your wedding or event and the fastest way to end up on Youtube under the bad DJ category!! Celebrations24 is a 5 STAR Rated DJ/MC company with a long trail of happy clients in our rearview mirror. Read our reviews and you will see the difference. We love our job and we treat every event, party or wedding like it is our own family! When you book our service, you will feel the stress actually leave your body and your comfort level increase almost instantly. We got you... no worries! Below, you can meet some of our DJ/MC's by watching their short video interviews. All of these videos were filmed by Team Brad! 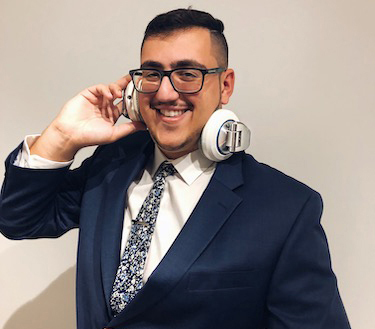 Recently relocated from New York, DJ Josh has years of experience working in the highest end venues across Long Island and NYC. 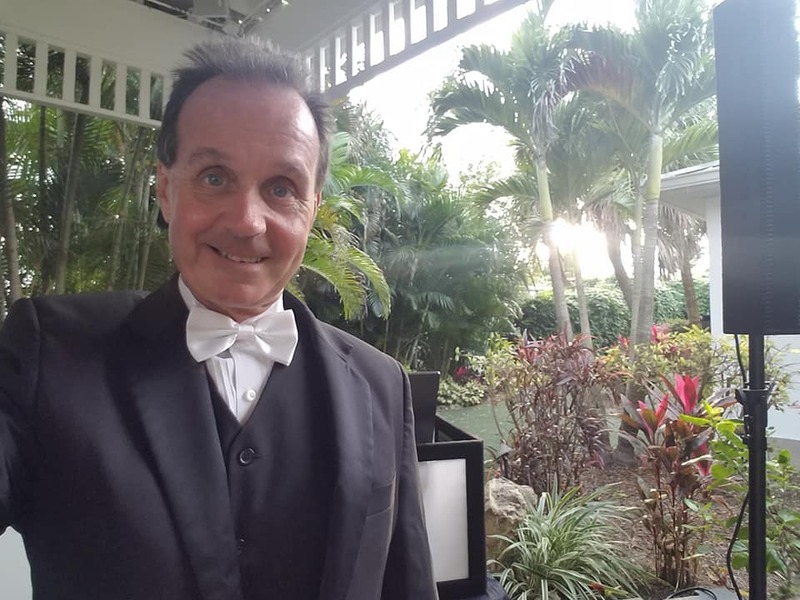 Entertaining a wide variety of clientele, he brings the utmost excellence to every event. He started spinning at an early age in high school for family and friends. More and more people started requesting his work for thei events, and the rest is history. Although still young, he has an extensive knowledge of a wide range of music spanning all the way back to the 1920’s. 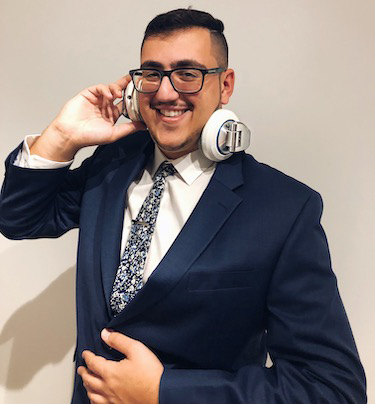 His favorite genres to mix are house, hip hop, top 40, and mashups; although he really enjoys mixing everything! His ultimate goal is to not only ensure the party goes well, but to make sure the memories made at that party last forever.